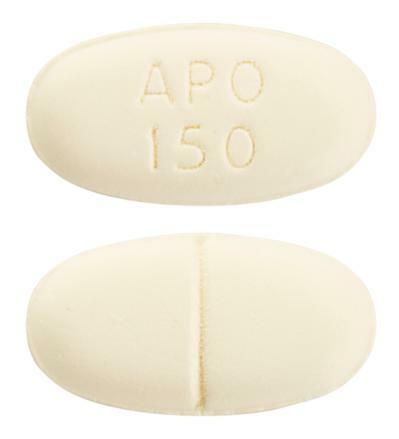 Pale yellow, oval, biconvex, filmcoated tablets, scored on one side and engraved "APO" over "150" on the other side. Food slows absorption a little. Avoid alcohol. Take after meals in order to minimize the risk of interaction with tyramine. White, oval, biconvex, film-coated tablets, scored on one side and engraved "APO" over "300" on the other side.